Pairing your jar or bottle with a quality stock closure is a great way to enhance your brand image and shelf presence. 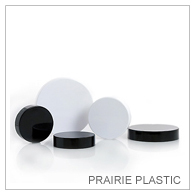 Our popular Prairie line of metal closures is a versatile option for any jar or bottle. 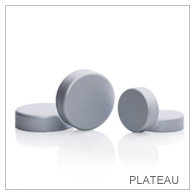 All our stock closures and caps are available in standard GCMI sizes and includes high grade F216 foam liner to maximize product freshness and compatibility. You can find available colors and finishes by selecting the “Color Options” tab. If you are interested in finding a matching jar or bottle, we have included our recommendations under the “Gallery + Coordinating Items” tab for each closure.